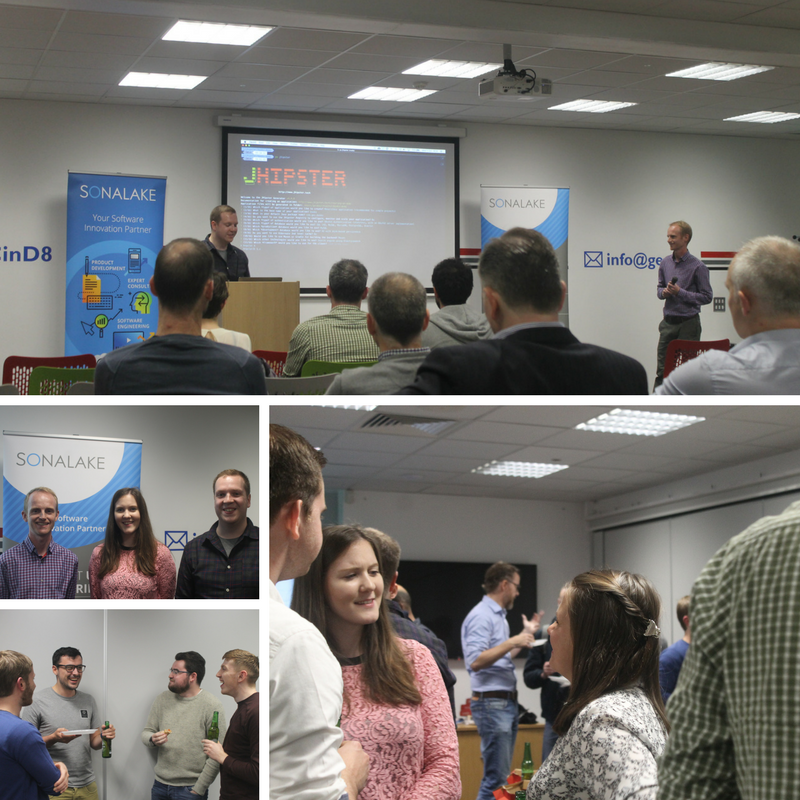 Last Wednesday, 11th October, Sonalake held the first JHipster Dublin meetup at the Guinness Enterprise Centre. In the space of an hour Mairead, Gordon, and Jonathan wove an introductory presentation on JHipster with a live demo and built a simple application. The presentation covered the background to the core technologies used in the JHipster framework and how they are brought together by the application generator to rapidly create powerful Spring Boot, and Angular applications. For the demo, we created a bookshelf app from scratch and deployed to Heroku. We finished out to with an interactive Q&A session and rounded the evening off with pizza, beer, and some good tech conversation. Based on feedback from the attending JHipsters the presentation and demo were very well received. There were also plenty of interesting questions and a few attendees expressed an interest in speaking at the next meetup. Thanks to everyone who joined us for the evening – please do spread the word and keep an eye on @SonalakeHQ Twitter and JHipsterDublin on meetup.com.